Cinco de Mayo and the Mayapple . . .
Cinco de Mayo seems a good time to celebrate the consummate wildflower of May: Podophyllum peltatum, the Mayapple. 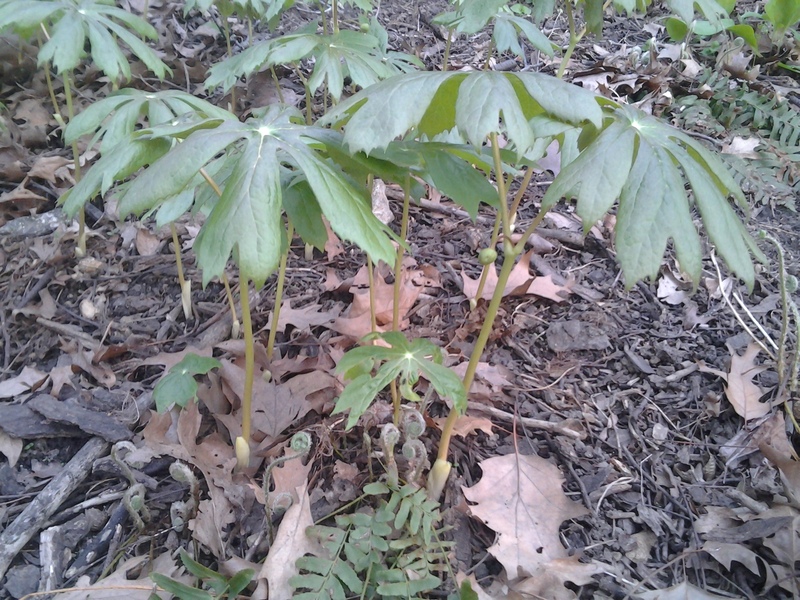 Shaded, wooded areas are the best places to seek out the Mayapple. Perennial colonies, each borne on a rhizome, now display the distinctive palmate leaves supported by stems bearing a single bud beneath, which will bloom white and mature into a fruit that always appears like a little treasure in the woodland. 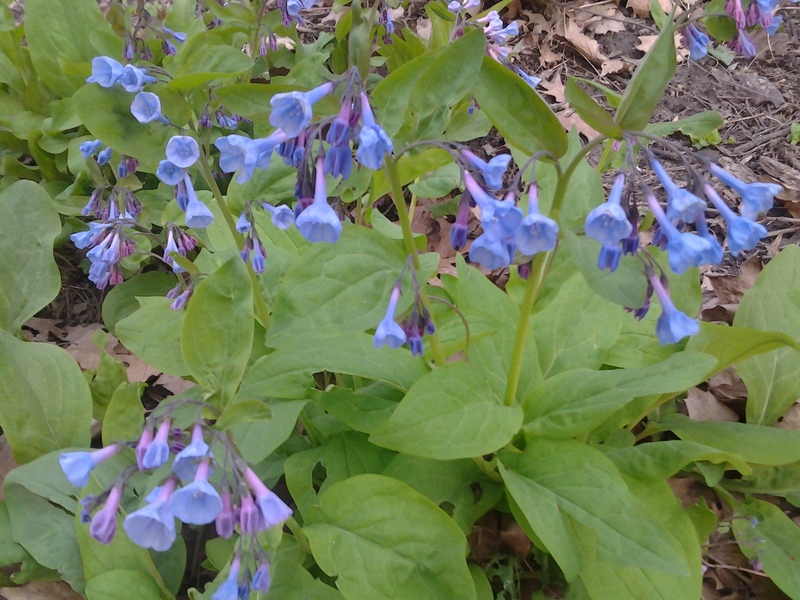 Another regular now in flower is the Virginia Bluebell, Mertensia virginica. Shaded hillsides and groves in Manhattan’s Central Park become carpeted by this variety at this time of year. Specimens found in the parks and neighborhoods of the west side of the island are less dense, yet display just as intense a range of pink buds blending into true blue bell blossoms. 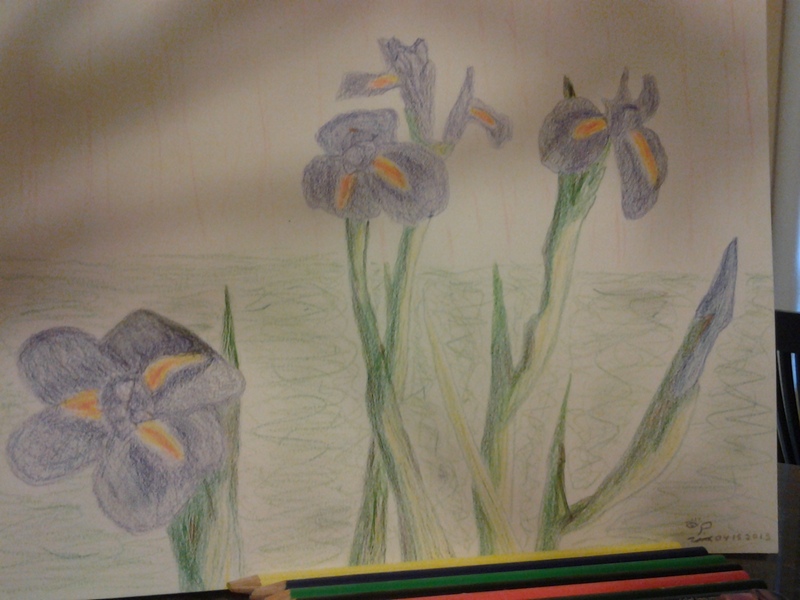 The view is gorgeous, yet short lived, this being an ephemeral plant brief of life cycle. NYC Wildflower Week is fast approaching and the city is in full bloom. Uncut park lawns are dressed in many, often immigrant, wildflowers: the purples of Red Deadnettle and Viola, the yellows of Dandelion and Lesser Celandine, the white of Garlic Mustard. Photo examples of these standard bloomers may be found throughout Wildflowers of the West Village.